Ukrainian National Republic (Ukrainska Narodnia Respublika, or UNR). (Map: Ukrainian National Republic.) 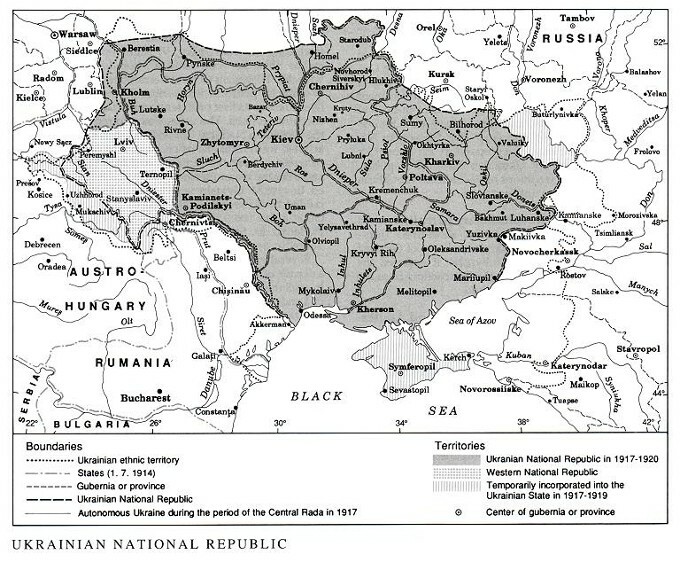 The Ukrainian state, established at first on the territory of central Ukraine and then, as of 4 January 1919, also including the Western Ukrainian lands of the former Austro-Hungarian Empire (see Western Ukrainian National Republic). The UNR was first proclaimed in the Third of the Universals of the Central Rada on 20 November 1917. It was in federation with Russia until it declared complete independence in its Fourth Universal on 25 January 1918 (back-dated to 22 January). 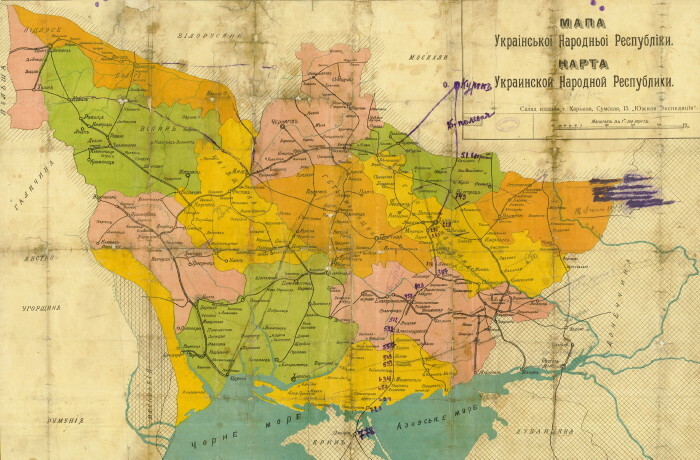 Under the Hetman government of Pavlo Skoropadsky the UNR was renamed the Ukrainian State (29 April to 14 December 1918). Under the Directory of the Ukrainian National Republic the name UNR was restored. The UNR existed on Ukrainian territory until 1920, when the head of the Directory and the government of the UNR went into exile. 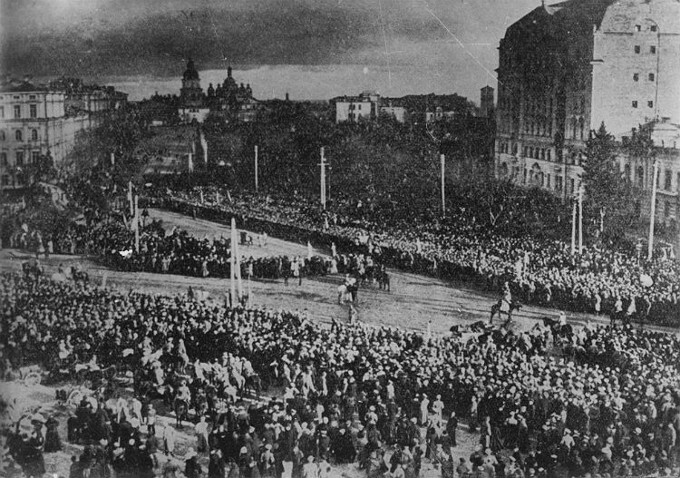 The Government-in-exile of the Ukrainian National Republic was first in Poland and then, in 1939–40, in France. After the Second World War (1948) the Ukrainian National Council was created as a preparatory parliament for the State Center of the Ukrainian National Republic, which continued the traditions of the national republican government of Ukraine until 1992. A referral to this page is found in 236 entries.